Bless my niece’s heart because she wants to learn to sew and started asking me at the beginning of summer. Between vacations and various activities, Tova and I had trouble finding time for quick sewing sessions. On a rainy day, Tova and I worked on two pillowcases from my refashion stash. 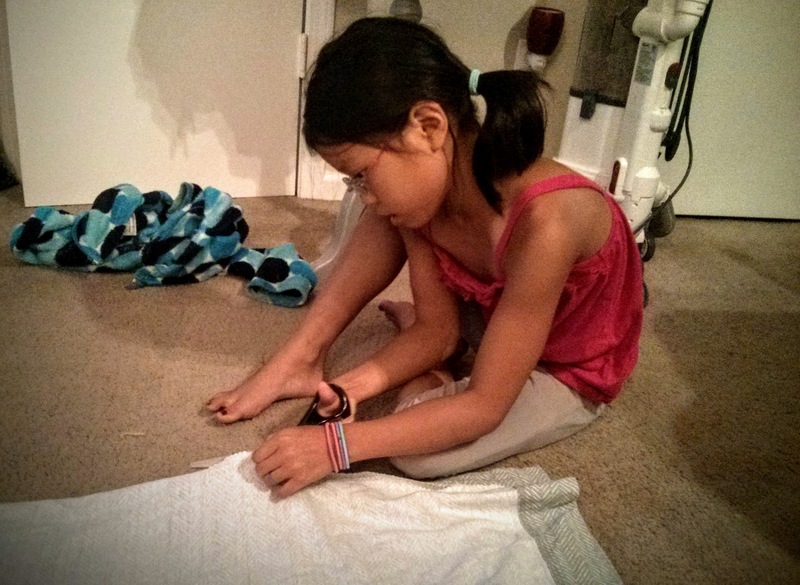 Tova carefully cuts apart a pillowcase to make a simple wrap skirt. I’ve made two or three wrap skirts in the past, but I just wasn’t super confident with my sewing skills back then. Now, I’m definitely more confident when creating cute elastic waist skirts, but Tova had her heart set on a wrap skirt. So, how hard can a wrap skirt be? I chose the grey pillowcase for two reasons: the fabric is a little heavier (no liner needed) and the fabric is jersey (no fraying equals no hemming). 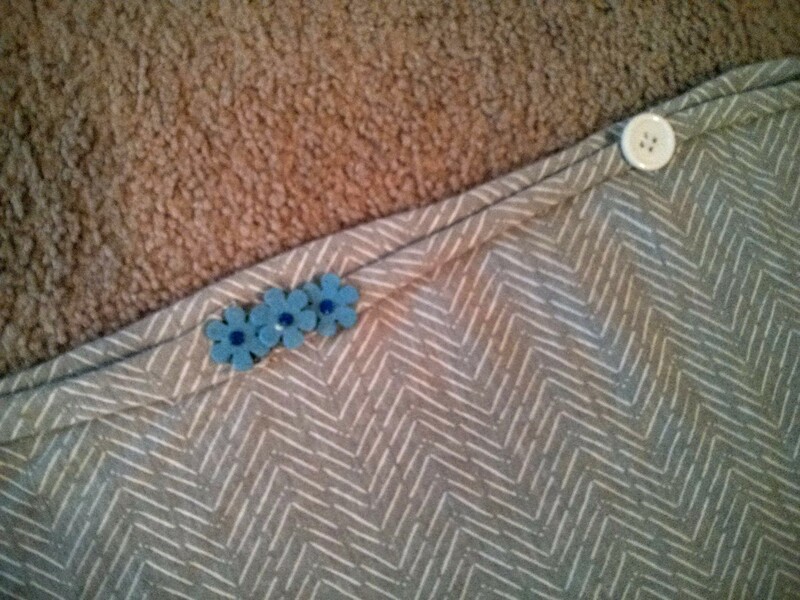 Tova picked out cute blue flower embellishments to cover up the black stitches (I was too lazy to change the thread). How cute are the drawstrings at the side? Very cute. 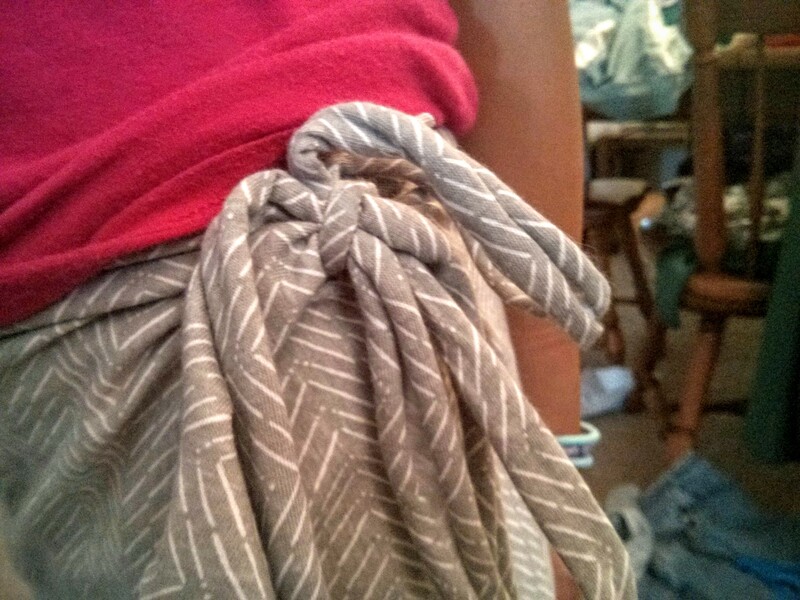 Tova cut apart the pillowcase and used one panel for the skirt and the other for the drawstrings. I added a button for more security and created a loophole for one of the drawstrings. If the flowers fall off (I just used glue), I’ll probably replace them with matching buttons. 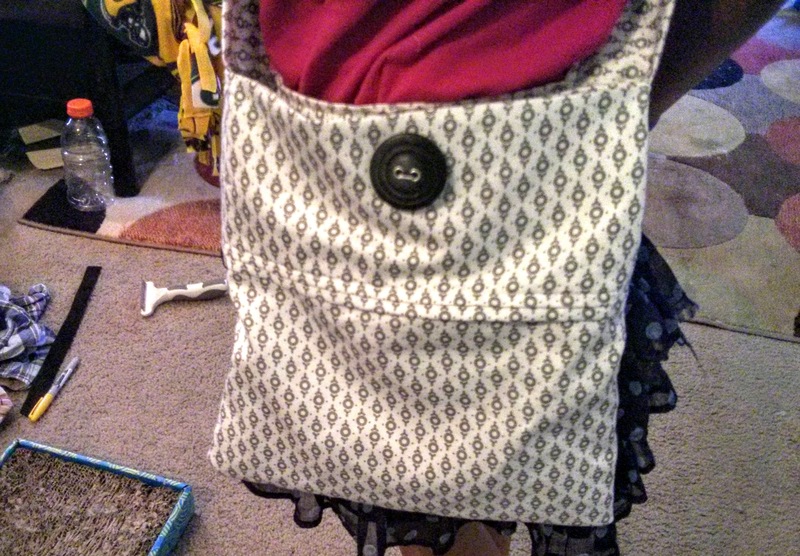 With the second pillowcase Tova wanted a cute little cross body purse. Hmmmmmm. I tried to create a purse a long time ago, but my patience and attention span distracted me from the project. A small purse for my niece? Shouldn’t be too hard, right? Make a few cuts, fold some fabric, and sew some stitches. Luckily, Tova is not too picky so I went simple and cute. 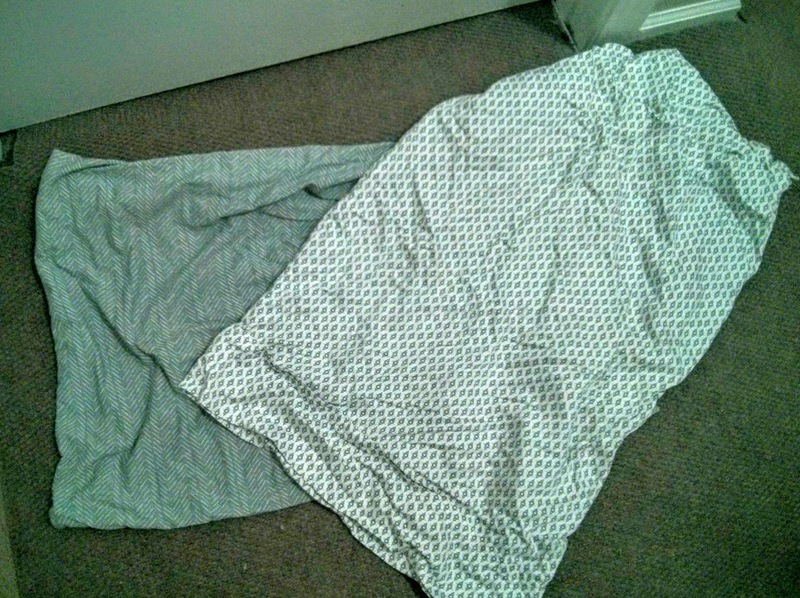 I cut the pillowcase in half and folded it half. Tova made a few marks to indicate the size she wanted, and I sewed the base of the purse. Although she wants to learn to sew, the TV and her brothers kind of distracted her from learning. Cute and simple. The best two words to describe the purse. 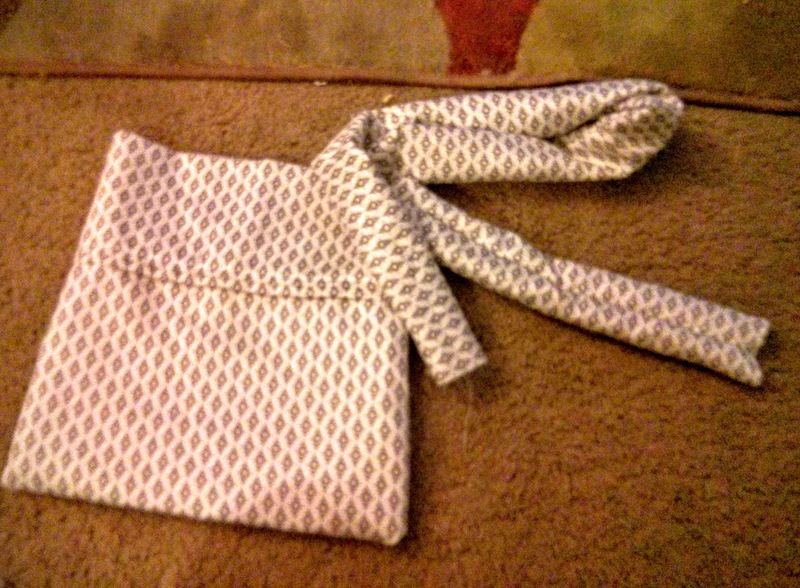 I created the strap from the rest of the pillowcase and sewed the strap ends to the body of the purse. 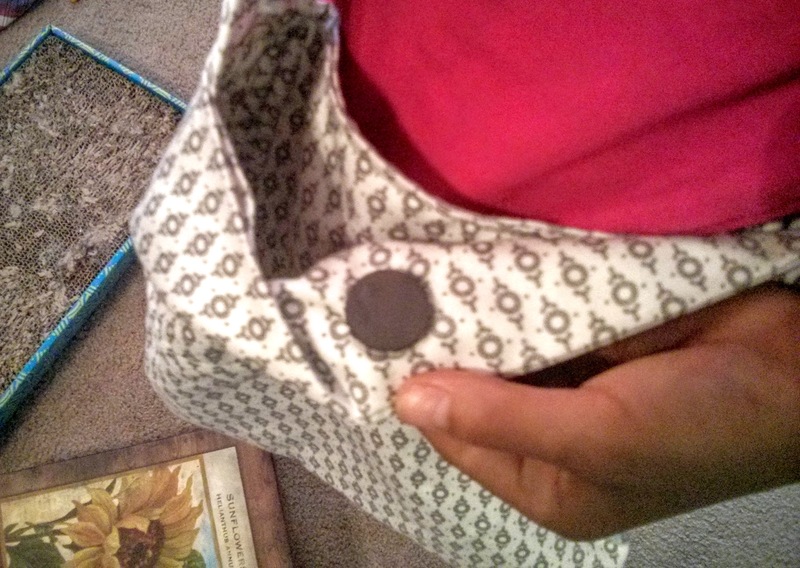 I glued two magnets inside the purse for an easy closure and sewed a button for decoration. I’m actually pretty impressed with myself. I love all your skirts. so cute. my girls love wearing skirts. You know I tried to create a wrap skirt because it looked so easy. I followed your advice and looked at a wrap skirt and its construction. However, putting it together even with knit or jersey material was harder than I thought it would. Hmmmmmmm.